Within each of us, there is an Owl, a Rabbit, an Eeyore and a Pooh. For too long, we have chosen the way of Owl and Rabbit. Now, like Eeyore, we complain about the results. But that accomplishes nothing. If we are smart, we will choose the way of Pooh. As if from far away, it calls us with the voice of a child’s mind. It may be hard to hear at times, but it is important just the same, because without it, we will never find our way through the Forest. But the adult is not the highest state of development. The end of the cycle is is that of the independent, clear-minded, all-seeing Child. After finishing this book in 2007, I tried looking for the other book “The Te of Piglet” but I could not find it in our local bookstores. Luckily, when I remembered the 2nd book, there was also an opportunity to buy it from the US. I grabbed the chance and even got myself a new copy of the “Tao of Pooh.” So, here I am creating a post in my cyber pensieve about one of my favorite books. Tao of Pooh talks about Taoism concepts illustrated or explained through the interactions, characteristic and adventures of Pooh and his friends. It starts with a description of a painting that exhibits three schools of thought and then went through each of the Taoism concepts of P’u (the uncarved block), Wu Wei (literal: without doing, causing or making) and Tz’u (caring or compassion). A way of life that keeps saying, “around the next corner, above the next step,” works against the natural order of things and makes it so difficult to be happy and good that only a few get to where they would naturally have been in the first place – happy and good – and the rest give up and fall by the side of the road, cursing the world, which is not to blame but which is there to help show the way. My favorite part of the book is how it emphasizes the importance of recognizing and understanding one’s inner nature. The way of self-reliance starts with recognizing who we are, what we’ve got to work with and what works best for us. The first thing we need to do is recognize and trust our own inner nature and not lose sight of it. For within the ugly duckling is the swan, inside the bouncy Tigger is the rescuer who knows the way, and in each of us is something special that we need to keep. Over all, this book is a great short read (158 pages) full of substance. nth time around, still one of my favorites. Thank you to the calm, still and reflective bear Winnie the Pooh for being just is and showing the way. I visited Tubbataha Reefs Natural Park from May 29 to June 3 via M/Y Sakura liveaboard (my first one). I flew to Palawan morning of the 29th then in the afternoon embarked on a 10 to 14 hours boat ride to Tubbataha. 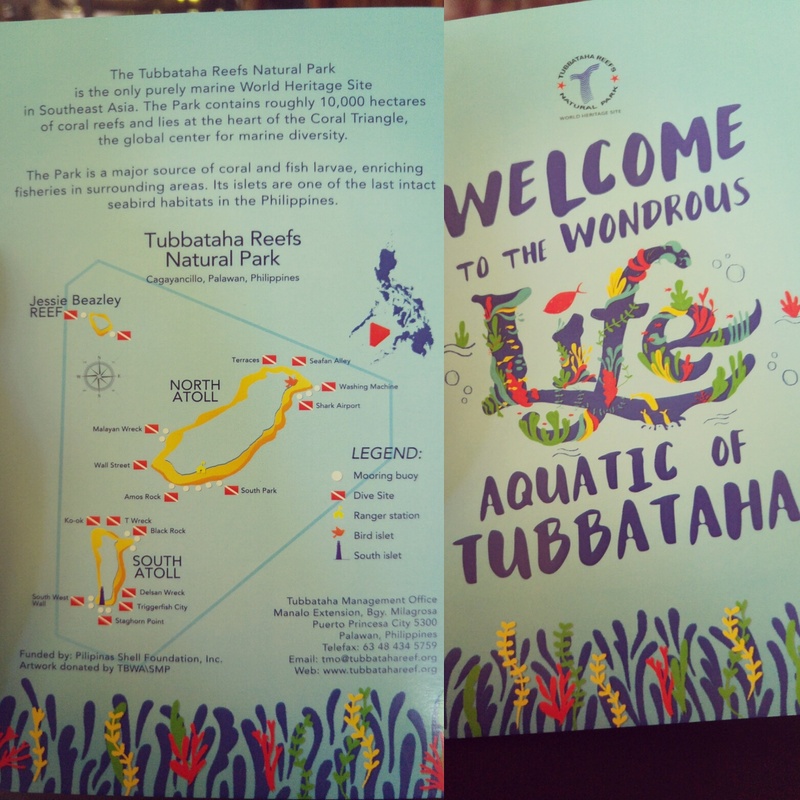 As stated in the handout I received during the orientation, “The Tubbataha Reefs Natural Park is the only purely marine World Heritage Site in Southeast Asia. 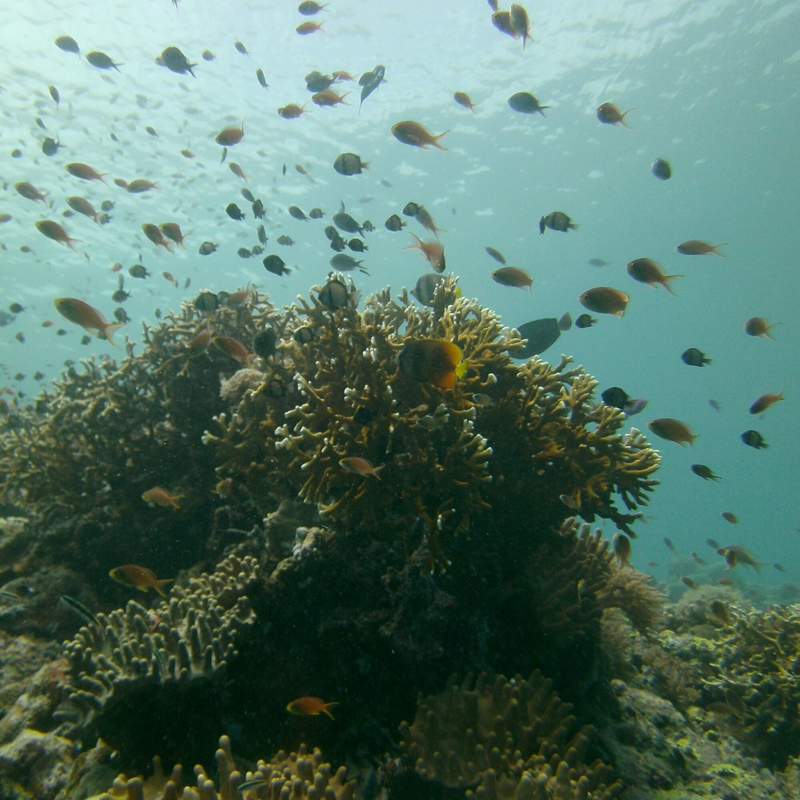 The Park contains roughly 10,000 hectares of coral reefs and lies at the heart of the Coral Triangle, the global center for marine biodiversity. It has seventeen (17) dive sites tagged in the map. 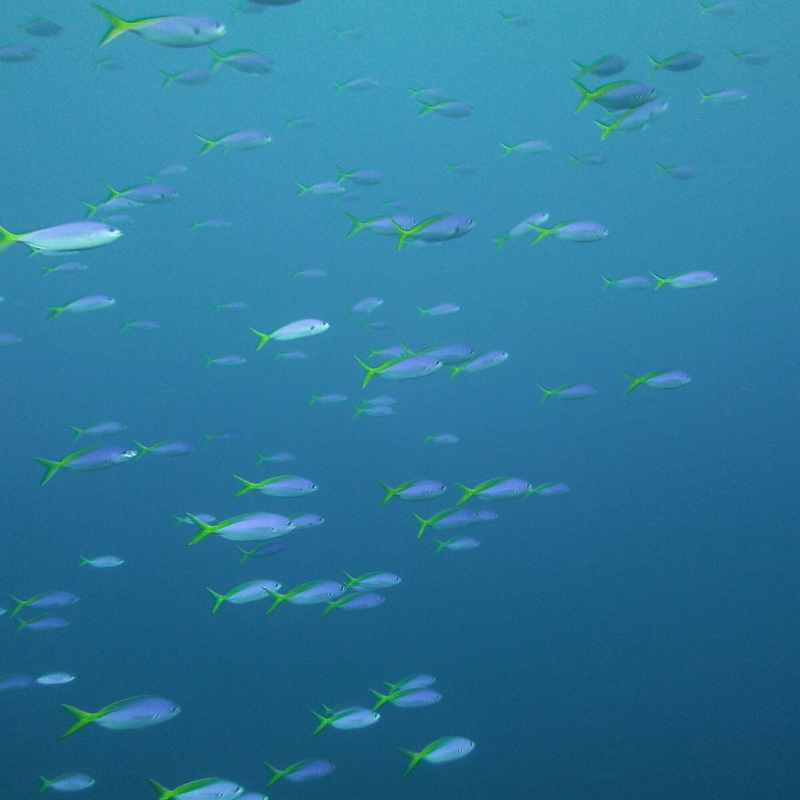 Eight (8) in the North Atoll, seven (7) in the South Atoll and two (2) in the Jessie Beazley reef. On average, we did four (4) dives per day except for the last day wherein we only did three (3). I personally decided not to skip any of the fifteen (15) dives to maximize the experience. We were blessed with generally fair weather with scattered rain especially during the evening. It was like a dream. 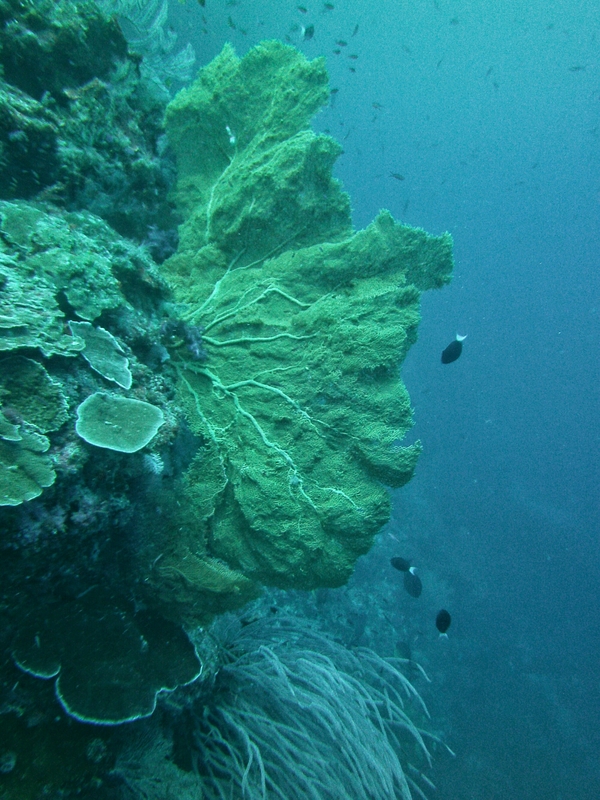 Though some of my co-divers said it was not the best visibility, every dive was a great dive. 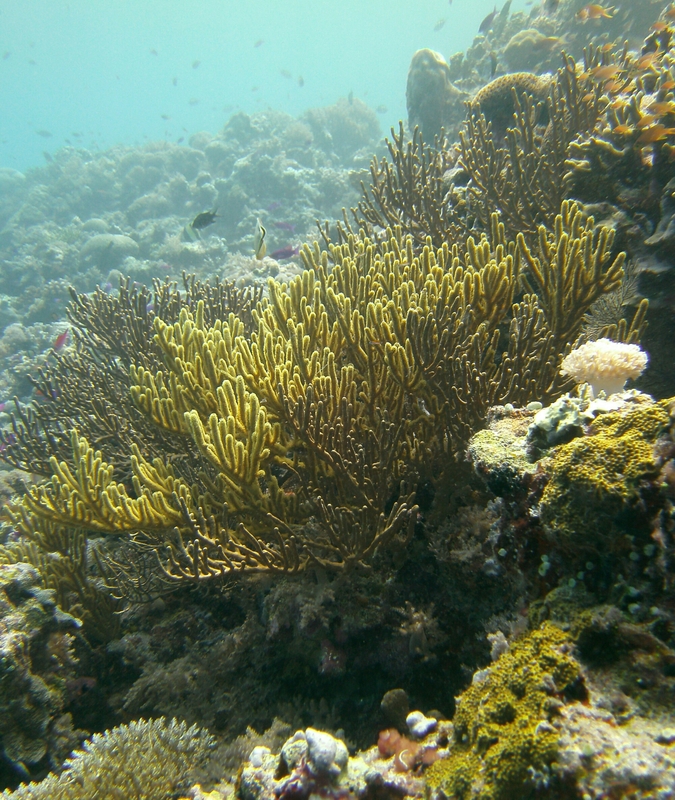 The corals are pristine with the reef wall full of large sea fans. Marine life is diverse. And most of all, lots of colors abound. It was everything I envisioned it to be. So beautiful. 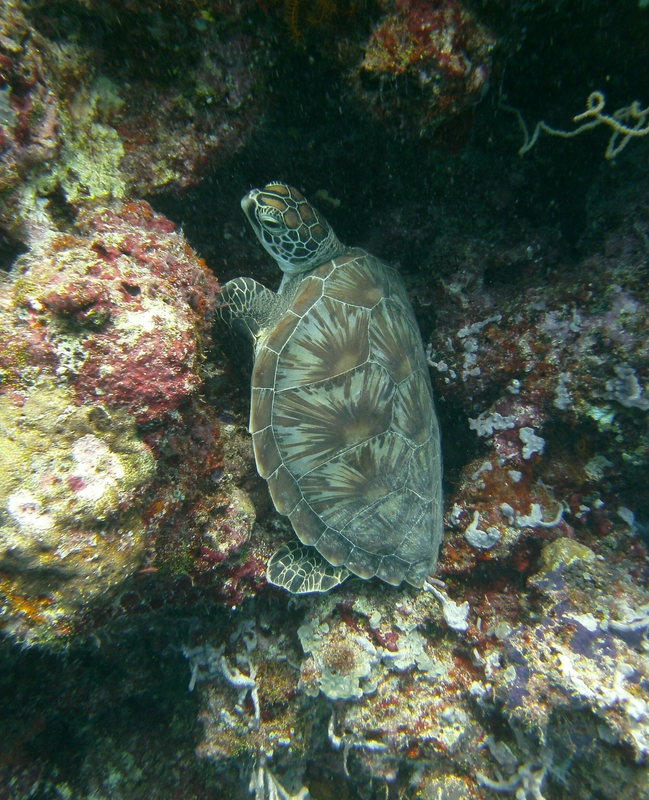 We were also blessed with sightings of sharks (loads of different varieties), whale shark, turtles and manta. 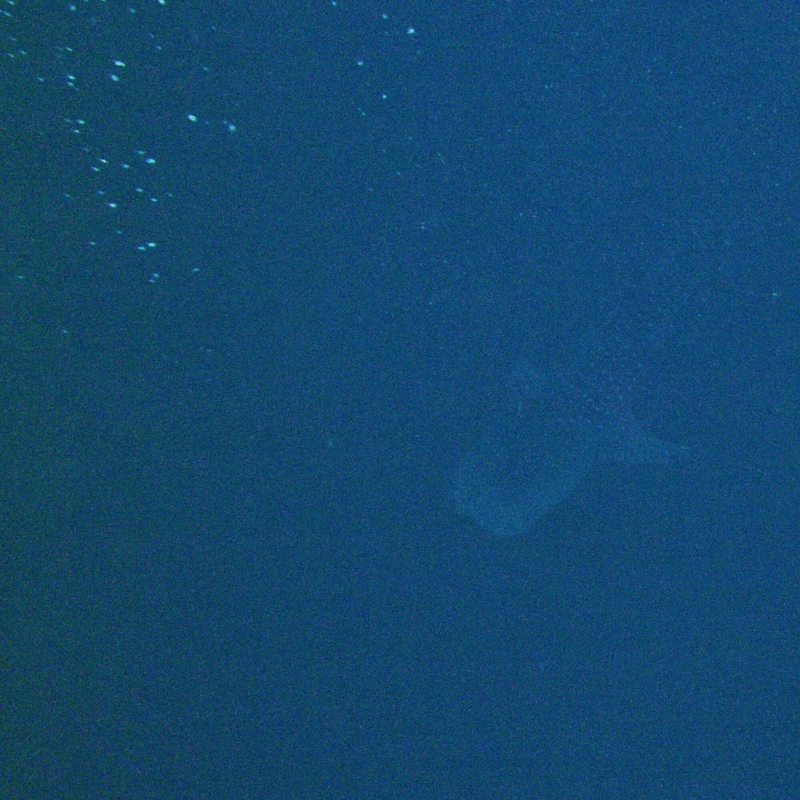 Yes, there is a whale shark there somewhere. 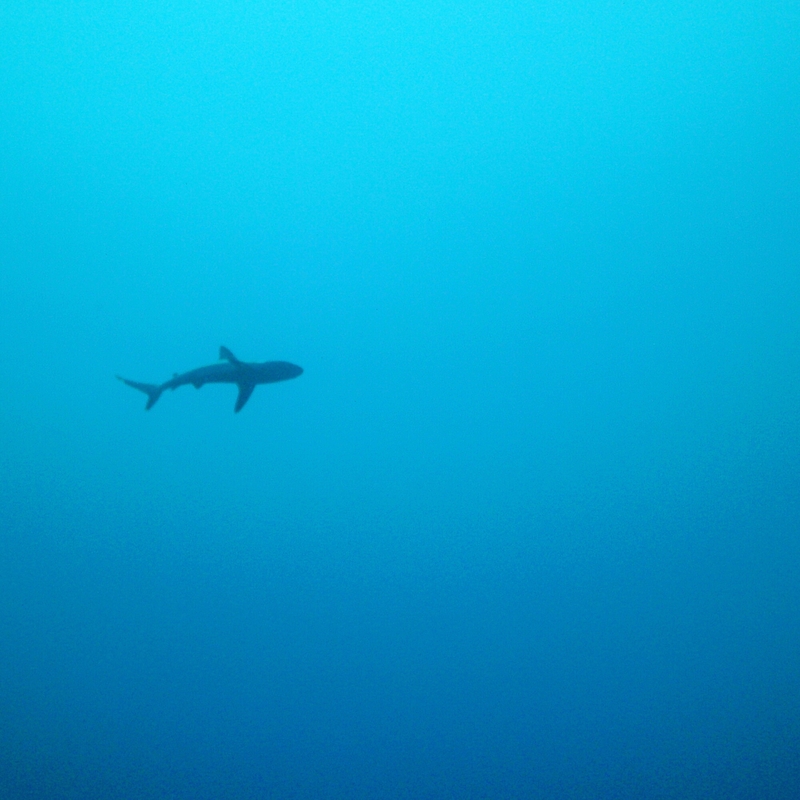 Taken at 100ft deep. To keep it short and simple, it was the best site I have been to. The ocean is alive and wonderful. I did take some photos but mostly I just spent most of my time admiring and absorbing everything my eyes could land on. It is not everyday I get to see majestic beauty. It also helped that I knew I was with a group of diver photographers so I know they will have loads of photos. All I can say is that we have been so blessed. I hope we all strive to preserve it. God is wonderful; what a beautiful world. Hopefully I can return some time in the future. 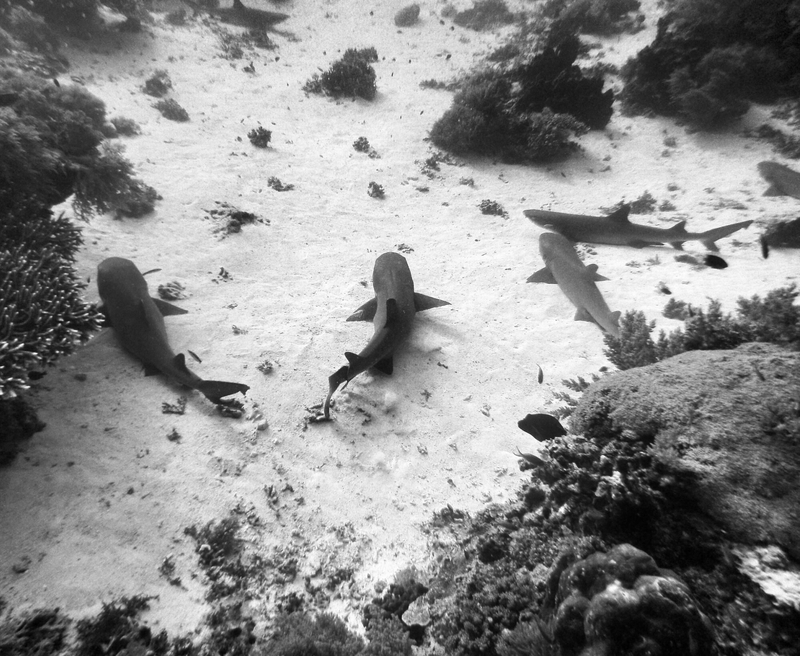 To learn more about Tubbataha, you can visit http://www.tubbatahareef.org.